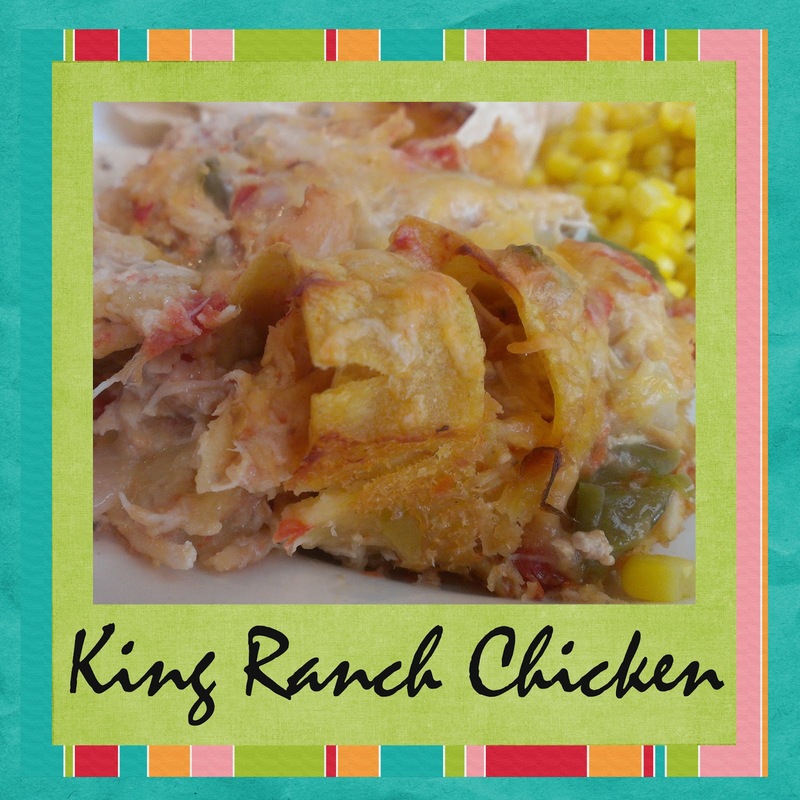 We’re going to finish up our month of “Texas” recipes with an old standby – King Ranch Casserole. Legend has it that this recipe originated at the King Ranch in Texas – that’s what my mom told me years ago when I asked her about it. This was a favorite of mine growing up – again, our family doesn’t care for “spicy”, so instead of the traditional can of Ro-tel tomatoes, I always substitute a can of plain diced tomatoes. In a bowl add tomatoes, soup, and sour cream. Mix well. Slowly add in 1/2 can of the broth. Check consistency. It needs to be thicker than a pancake batter but not too thick. Add more broth if it seems too thick. In a large (deep) casserole dish ladle about 1/2 cup of the soup mixture into the dish and spread it around. Put one layer of tortillas on top of the sauce. Next, place cooked chicken on top of the tortillas. Don’t use all of the chicken as we will repeat this layer again. Ladle some of the soup mixture on top of the chicken. Top with a layer of cheese. Continue with this layering; tortillas, chicken, sauce, and cheese until all ingredients are used up. You should end up with a thick layer of cheese on top. Bake uncovered at 350 degrees for about 45 minutes or until it browns and bubbles. Make sure the middle is hot too! 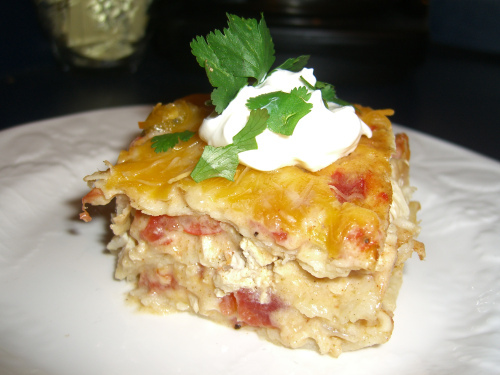 This entry was posted in Foodie Friday, Recipes, Texas and tagged Casserole, King Ranch, Texas Recipes. Bookmark the permalink.